Jack up each front position from the left and right rear positions. Jack up the rear from the engine case. I use a long lo profile floor jack from Harbor Freight. Makes the process a lot easier. I too use a hocky puck in the jack cup and modified jack stands so the tops are flat and have a centering stud for the jack point holes. 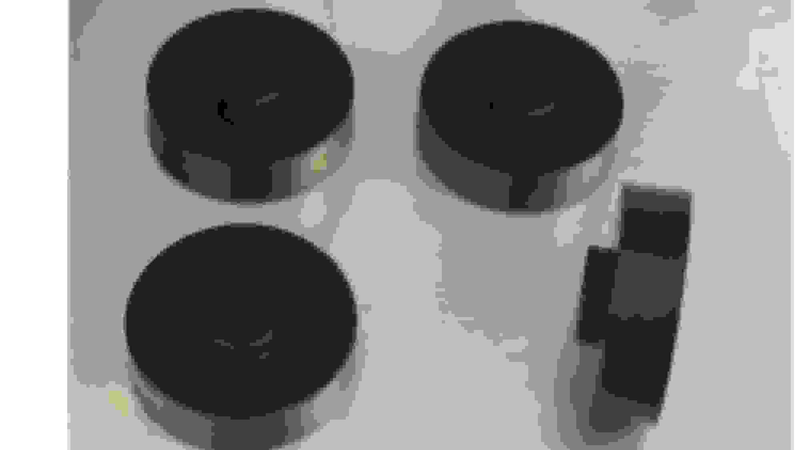 The pictures in the original post are no longer visible. But I was able to get the gist of Cactus' procedures from the description. I lifted the rear of the car by jacking on the engine block, and put my Esco jackstands on the rear, at the lowest setting. However, I didn't feel comfortable jacking up the front by the frunk pan, so I settled on the front subframe attachment to the body. It is just a bit in front of the front jack-points, but more in-board. I had previously purchased a cross-car jack bar from Harbor Freight, but had never used it. I put that on my HF low-profile jack, and the combination worked very well. The jack bar was just short enough to lift both sides of the front subframe attachment. With the rear already on jack stands, there was plenty of room to maneuver the jack and the jack-bar under the desired location. I couldn't edit this thread and I pm' d a moderator with no response. I gave up and started a new thread. 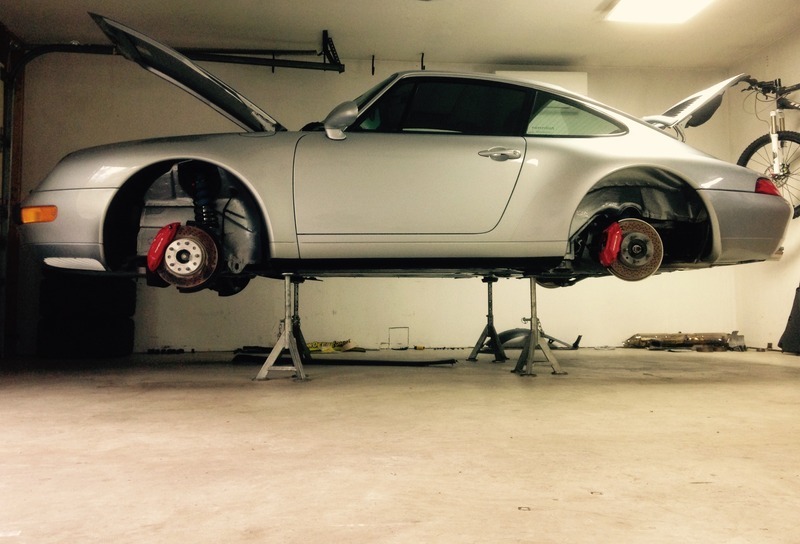 How To Jack Up a 993...Redux. Cactus method has proven to be super easy and quick for me! I have two full sets of AC flat-top stands, the typical 6,000 lb version as well as the 11,000 lb version. 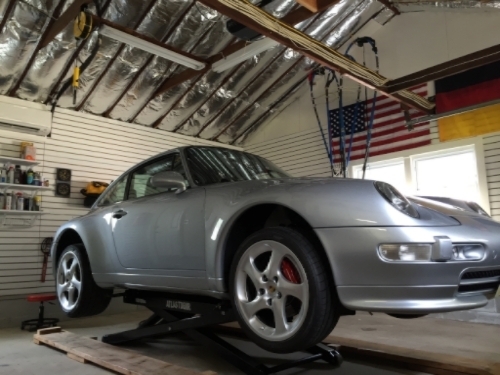 As you know I've spent a silly amount of time under my 993 over the last 10+ years and have always felt utterly comfortable with the construction, stability, and load ratings of the stands. 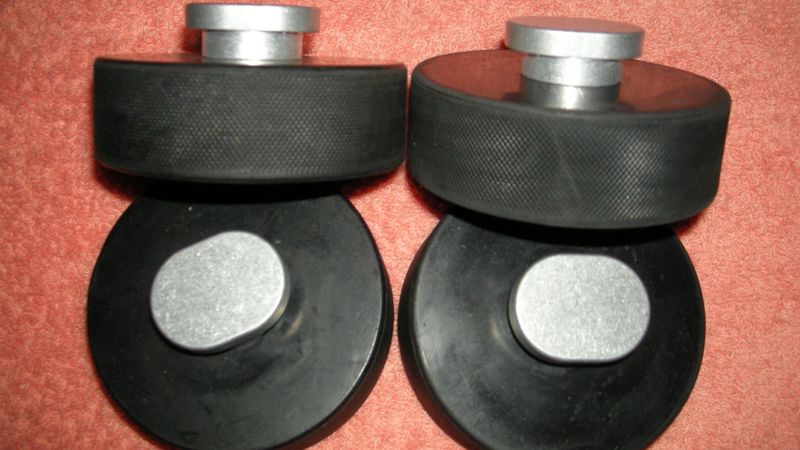 The soft rubber pads provide plenty of friction between the stands and the jacking point of the car. The ESCO stands are a copy (licensed?) of the original Made-in-Denmark AC stands. Apart from a different finish (AC stands are galvanized), the two versions appear very similar. Did a complete suspension swap with Escos over the winter. Car ended up being on stands for over two months, never a twitch even when using heavy torque on suspension components, I'd endorse them. I have the ESCO jack stands and they are incredibly stable. +1 to everything Andreas said regarding the stands. My only comment is to order 4 at once. I had 2 from many years ago and just bought 2 more. Although they are similar quality and construction, the hole spacing for height adjustment was slightly different. Thanks for posting. I wont ever buy another HF item that my life depends upon (see failed jack I posted yesterday), but that looks like a solid fit. 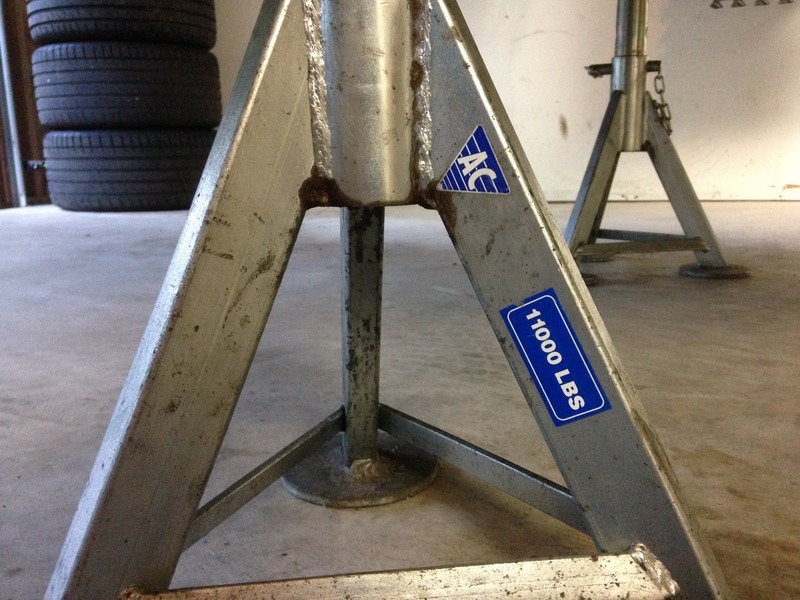 I do not use HF jack stands, but view the safety aspect differently with regard to jack. As I jack up my cars, I am never under the car, and as I jack up high enough, I slide jack stands under the car as a backup in case the jack fails. 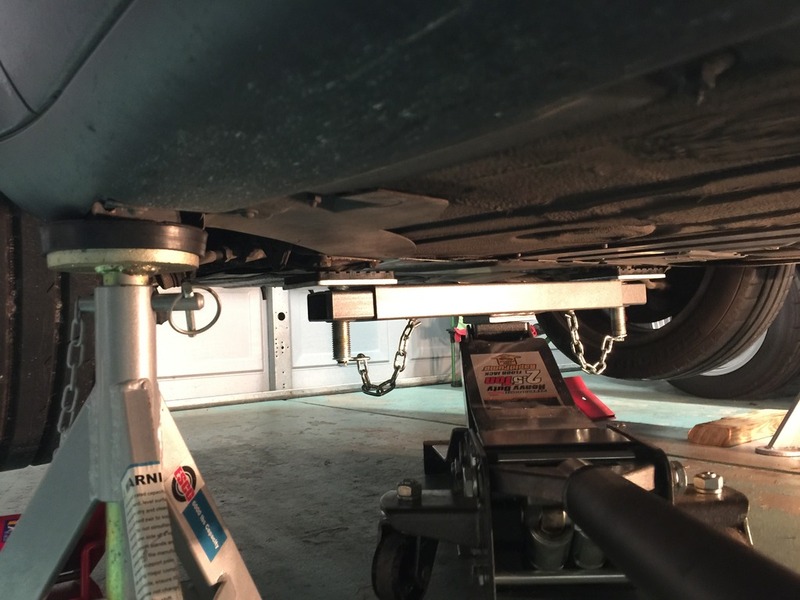 I raise the car in painfully slow increments, always increasing the height of the jack stands so that the car never has the chance to fall more than a couple of inches should the jack fail. With that mindset, I feel Fine with HF jacks. But I did a lot of research and ended up with the Esco stands, as I feel they are very solid. 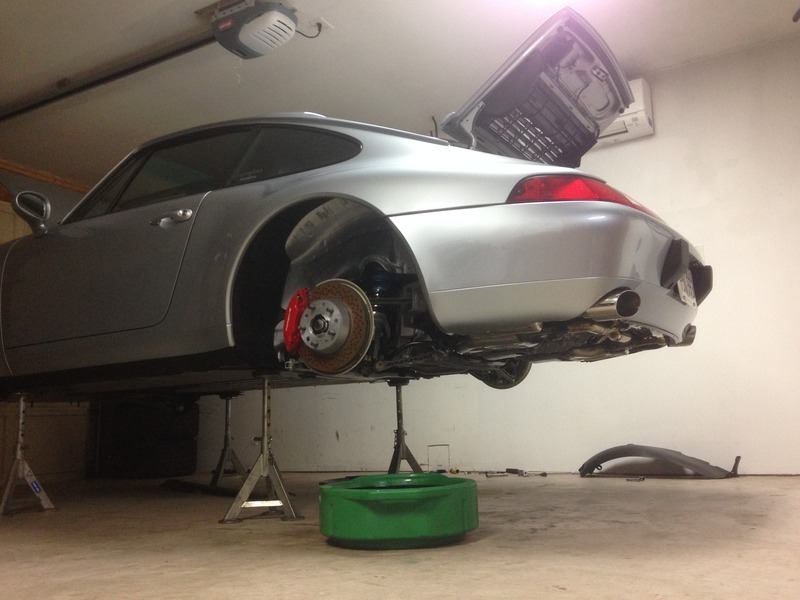 The flat top is perfect for the 993 and bmws, and the large leg pads distribute the load well. I never liked jacking up the rear via the engine case. Only way I can get the car high enough to get the Esco stands under the jack points. Is there a better way ? Glad that you posted this, as I may have to to eat my words go with HF again. 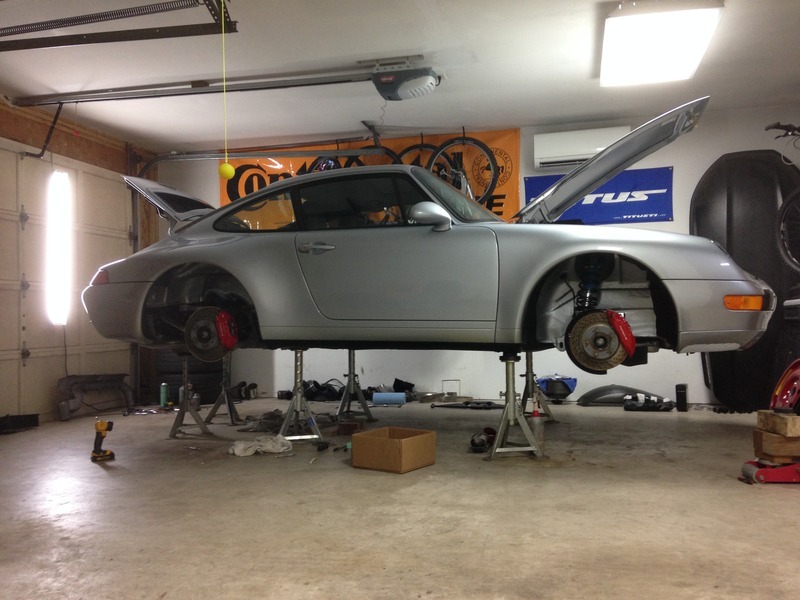 My jack points on the lowered 993 are a mere 4" off the ground. 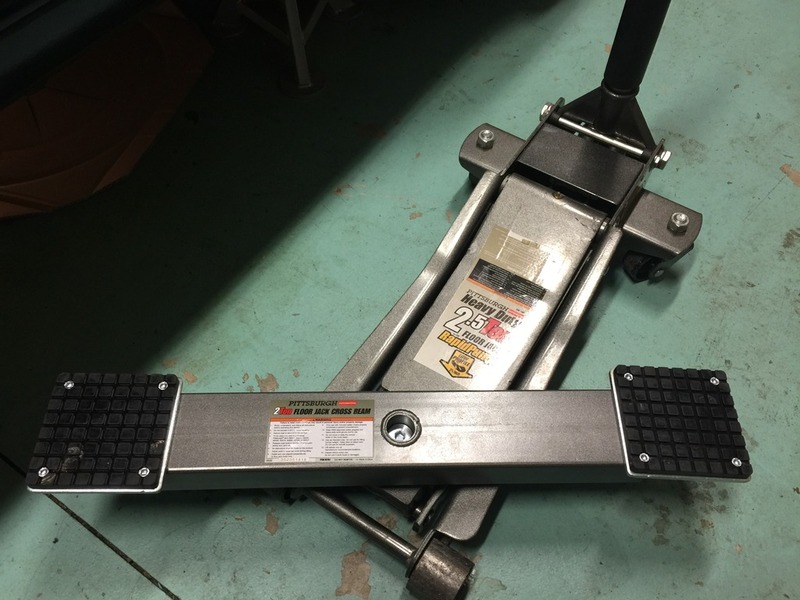 Even the AC Floor Jack at 3 1/8" would be too high, with insufficient space for a hockey puck (1") or a low profile jack point plate (still waiting for the precise profile measurement here). So I can either pay $1,050 for the Brunnhoelzl (includes $150 discount when you buy a pair of jackpoint jack stands - http://shop.jackpointjackstands.com/...PJ-BRI-003.htm), or buy another HF low profile jack. The Brunnhoelzl is just 2.2" high, and the HF 2 ton low profile is just 2 5/8" (http://www.harborfreight.com/2-ton-l...ump-68050.html). 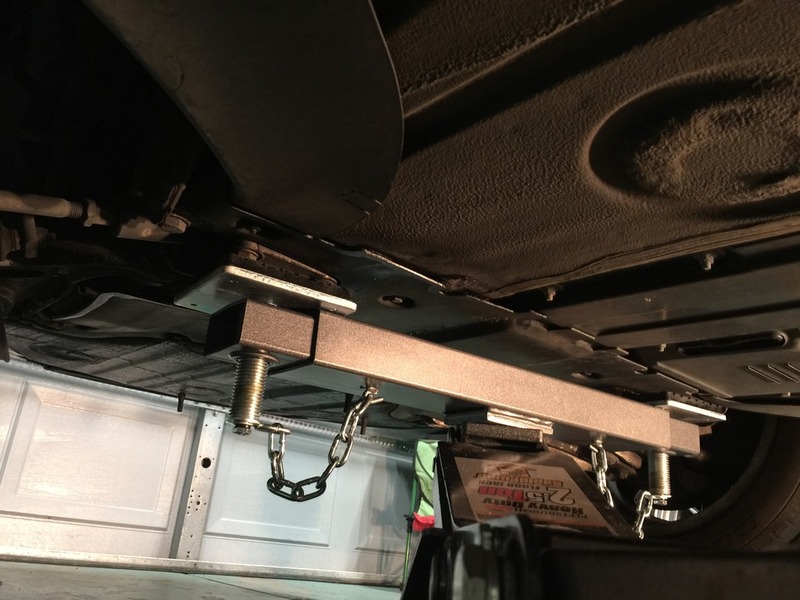 So I can buy a half dozen HF floor jacks and still be ahead of the game...just so long as you never get under the car until the jack is in place. I must admit that in the past I have changed wheels using just the floor jack, no jack stand. That's never going to happen again, but hopefully the jack point stands will make easy work of it. I borrowed a set of Esco stands for my engine trans drop and loved them. I never get under car without jack stands. For low cars you can always drive car up on blocks. I usee a Costco flor jack that has wored very well . I jack the car up from the rear jack point high enough to place an Esco jack at the front jack point and one at point where the subframe bolts to the body. Then I do the same from the other side. If I want the car to be at a height that's greater than the lowest setting on the jacks I start with the first two at the lowest setting and raise the opposite side to the next highest setting. I go back and forth like that until I get both sides to the height I want. I do the same thing on the way down. It is kind of a painful method but has worked well for me.